Willie Pearson, Jr., is a professor of sociology at the School of History, Technology, and Society, Georgia Institute of Technology. Prior to joining the faculty at Georgia Tech as chair of the School of History, Technology and Society in July 2001, he held a distinguished appointment as Wake Forest Professor of Sociology at Wake Forest University and an adjunct position in medical education at Wake Forest University School of Medicine. Dr. Pearson received his Ph.D. in sociology from Southern Illinois University at Carbondale in 1981. His honors and awards include Southern Illinois University's College of Liberal Arts' Alumni Achievement Award (1993) and selection as a Giant in Science by the Quality Education for Minorities in Mathematics, Science, and Engineering (QEM/MSE) Network (1999). Dr. Pearson was elected a National Associate (life-time appointment) of the National Academy of Sciences in 2001 and an American Association for the Advancement of Sciences (AAAS) Fellow in 2005. He has held postdoctoral fellowships at the Educational Testing Services (ETS) and the Office of Technology Assessment (OTA), Congress of the United States. Most of Dr. Pearson's research has centered on the career patterns of Ph.D. scientists, particularly African Americans, and on human resource issues in science and engineering. His publications include numerous articles in refereed journals and chapters. He is the author or co-author of seven books and monographs and has served as associate editor of Contemporary Sociology, American Sociological Association (1987-91). Dr. Pearson serves or has served on the editorial boards of Sociological Spectrum; Science, Technology and Human Values; Science and Engineering Ethics; and Educational Evaluation and Policy Analysis. Dr. Pearson’s service on committees, advisory boards and panels includes the National Institutes of Health, National Science Foundation, American Chemical Society, American Association for the Advancement of Science, Burroughs Wellcome Fund, Graduate Records Examination Board, Sloan Foundation, American Sociological Association, Sigma XI and the National Research Council. He was elected president of the Mid-South Sociological Association (1987); a member of the Executive Council, American Sociological Association's Section on Science, Knowledge and Technology (1989-91); and a governor of the National Conferences on Undergraduate Research (1994-2000). The National Academies designated him a lifetime National Associate in 2001. Dr. Pearson has always valued teaching, research , and community service. He has mentored numerous undergraduate students, over 95 percent of whom obtained advanced degrees. 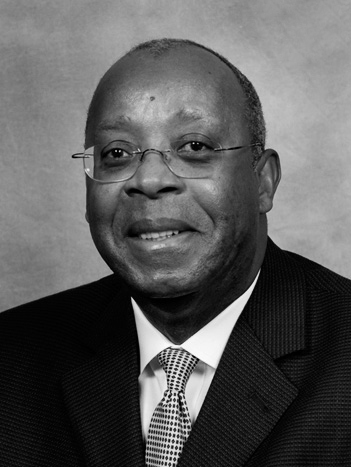 During his career, he has been the recipient of community service, teaching, and research awards and has served on boards and committees of community organizations in North Carolina, including the Winston-Salem Urban League; Family Services, Inc.; the Maya Angelou Institute at Winston-Salem State University; and the Forsyth County Juvenile Justice Council. In 2010 President Barack Obama appointed Dr. Pearson to the President's Board of Advisors on Historically Black Colleges and Universities.